I was in the Olympics? Mary Queen of Scots commissioned the creation of St. Andrews Links in 1552. 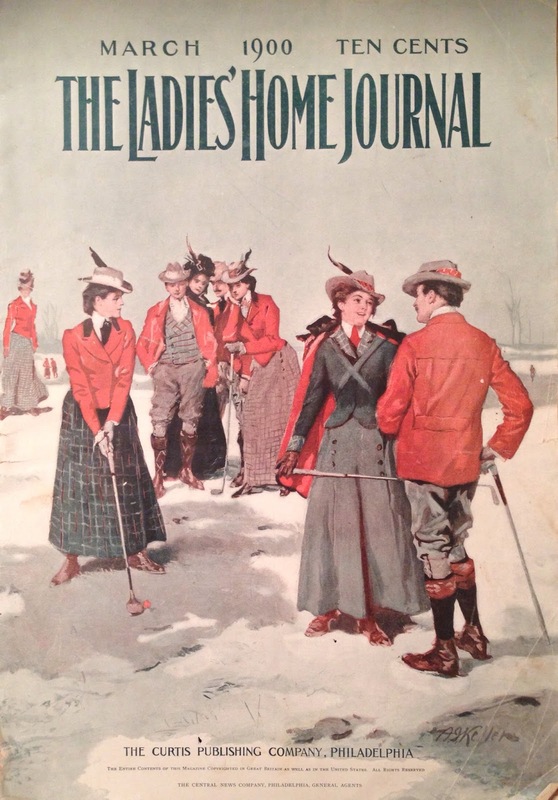 A devoted golfer, she is credited with calling the military cadets who accompanied her "caddies." Margaret Abbott, a 23-year-old American, traveled to Paris to study art. Her mother joined her in 1900 to attend the World’s Fair and Olympics. 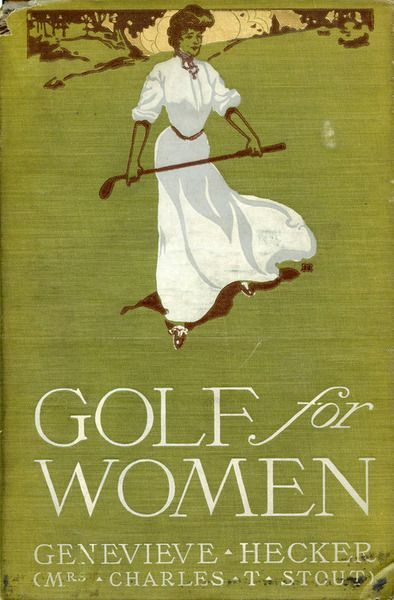 Golf for Women, 1904. 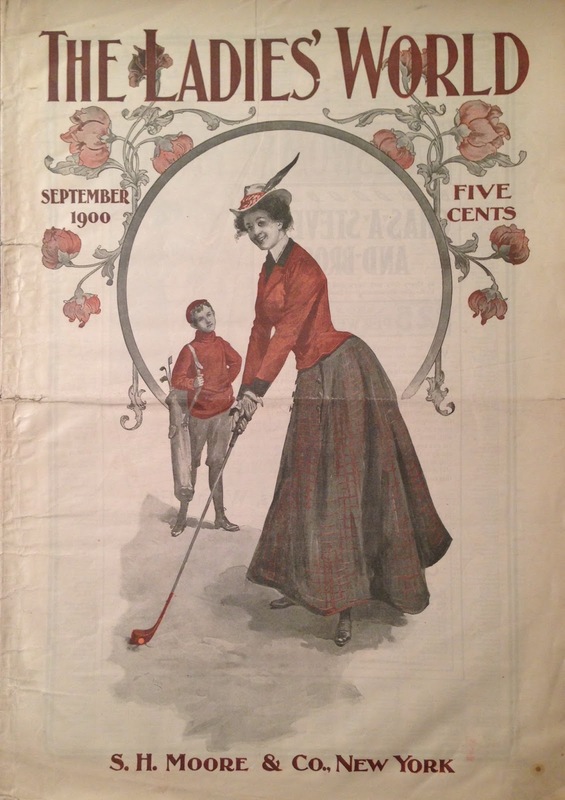 A compilation of Golf Magazine articles and photographs of Hecker, American National Golf Champion demonstrating proper form. Enjoying golf, the Abbotts both entered a golfing tournament, which Margaret won and her mother came in 7th. Margaret received a ceremonial bowl and the Abbotts returned to Chicago. 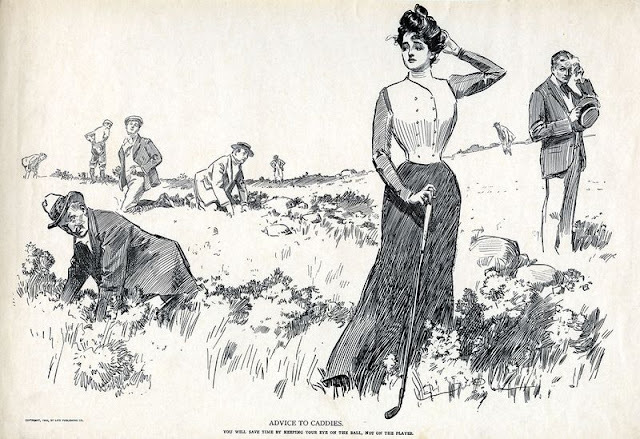 Lord Moncrieff decreed that women should not hit the ball any further than 60-70 yards. "Not because we doubt a lady’s power to make a longer drive but . . . [the] gestures requisite for a full swing are not particularly graceful when the player is clad in female dress." Margaret passed away in 1955. Years after her death, her family was contacted by a University of Florida professor researching women in the Olympics. Burberry introduced the Free-Stroke coat in 1904, with specialized sleeves that allowed for a full range of motion. They also introduced the drawstring skirt, where the hemline could be pulled up eight inches from the ground, allowing temporary mobility. 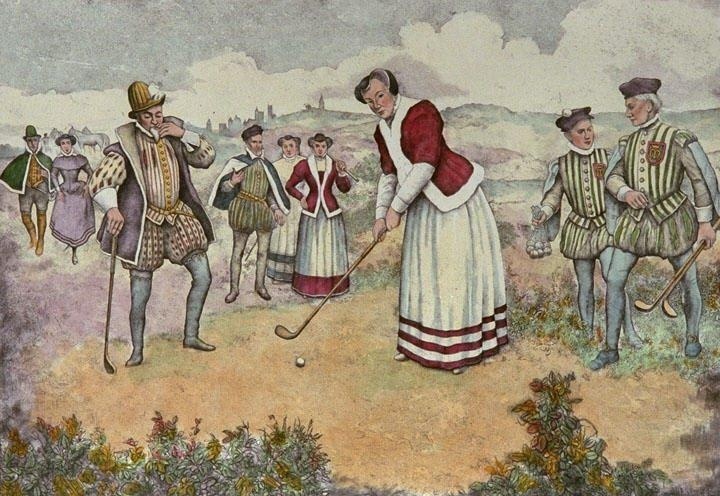 Margaret had actually won the first Olympic golfing tournament for women and had no idea she participated in a game that wasn't a local event. Advice to Caddies: You will save time by keeping your eye on the ball, not on the player. Presenting medals which clarified what event was won occurred in later games.